Absence makes the animosity between adversaries grow stronger. 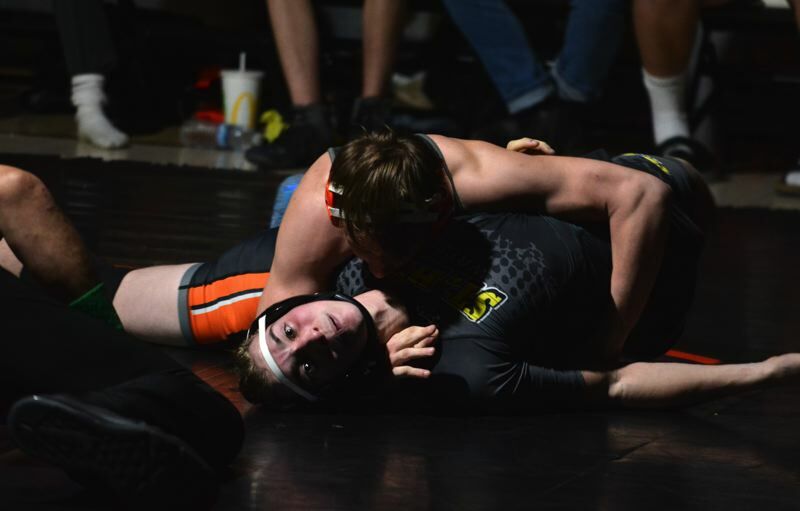 While the Scappoose and St. Helens wrestling teams have waged hostilities in tournament settings in recent years, it had been decades since the "Seven-Mile War" played out in a head-to-head dual meet. It finally did again on Jan. 24 at Scappoose. And Indians senior Quincy Cleveland, who has spent much of his life beating up on the Lions in other sports, wasn't about to let St. Helens get a step on him or his squad. Protecting a 31-23 team lead going into the penultimate, match of the night, the 220-pound Cleveland pinned Dylan Scott in the second round to help Scappoose win 40-23. "It was great to tear it up at the end. (St. Helens) is our rival in every sport, and this just boosted everyone's confidence." Cleveland's pin was one of three for Scappoose. Others came from 132-pounder Colton Frates and 182-pounder Riyle Kauffman. Trevor Jackson (152) and Ashton Kauffman (138) won by technical fall and put five points apiece on the board for the Indians. Cash Berry (106), AJ DeGrande (120), Deacon Smith (170) and Cutter Sandstrom (285) won by decision, grinding out victories that tested Scappoose's stamina and mental endurance. The lack of falls and forfeits was a testament to both sides' diligence both to not quitting, even when some matches seemed dire, and the programs' growing numbers. For years, despite their proximity, Scappoose and St. Helens were separated by a classification gulf. The Indians ruled 4A while the Lions faced the 5A level head on. 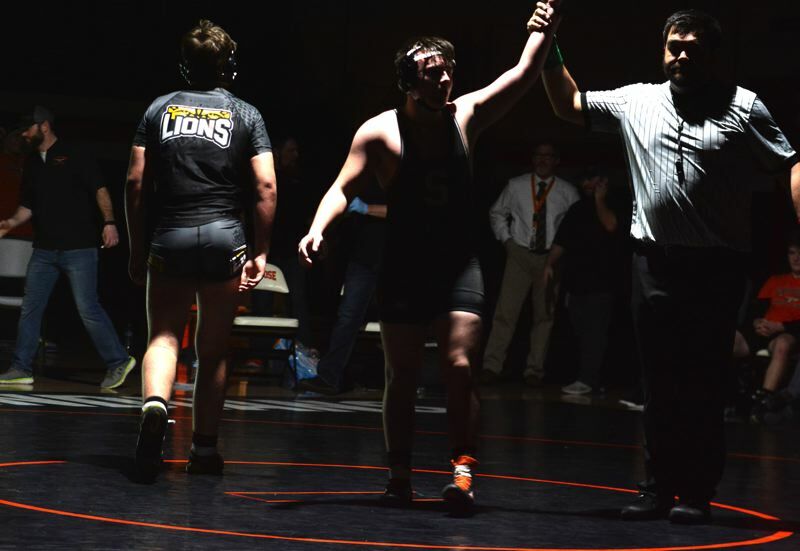 When the Oregon School Activities Association moved Scappoose up a notch and into St. Helens' Northwest Oregon Conference, a once-dormant rivalry was reignited across all athletics, including wrestling. "We overall just don't like each other," Cleveland said. "It gets up pumped up. When it's St. Helens, we have to roll them or we'll hear about it until next year when we wrestle them again. "People will be talking about this on social media, and it's just great to know we came out and totally killed it." Scott took advantage of a misplaced shot by Cleveland and got on top early in their match, but Cleveland dragged himself away, got his Lions foe in a front headlock and put him on his back. "It's always good to come up clutch," Cleveland said with a smile. "It gives you goose bumps. Before the match, I was like '(Scott) is pretty good'. So once you get that fall and hear the ref slap the mat, it gives you goose bumps every time. It doesn't happen for very many people very often, so it was a great feeling."